Download : 440 KB Does your computer's work is slow? Does your system crashes often? The reason of those problems possibly is a system registry. Each peace of software you install writes its own info into the system registry and sometimes does not clear this information after you removed it. Your system registry grows bigger and bigger and gets filled with out-of-date information. This can cause system crashes and slowdowns. The Registry Analyst introduces a solution to this problem. It will analyze your system registry, will find invalid entries and will present them for your decision. 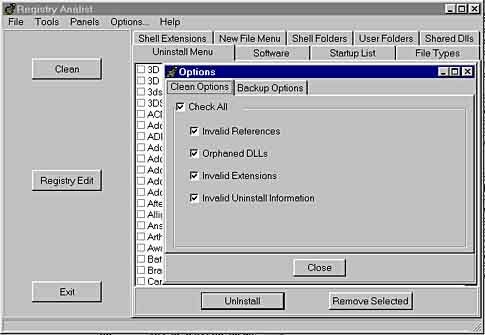 You can review entries, see what software created them, and decide whether you want to remove them. 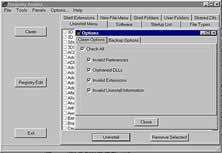 The Registry Analyst also includes a powerful and easy-to-use Registry Editor.